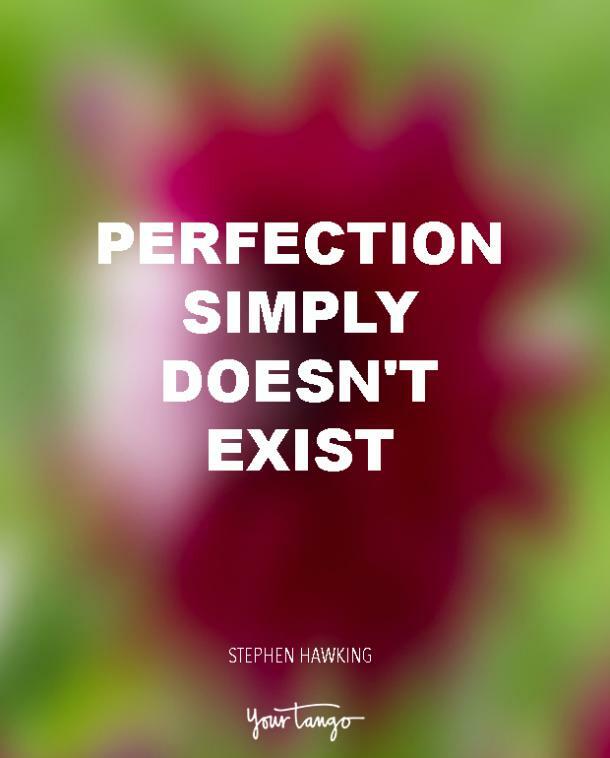 So many of us strive for perfection in our daily lives. In the media and all around us, we are exposed to perfect images intended to control us through our self-esteem. The perfect body. The perfect family. The perfect career. The perfect life. The perfect home. 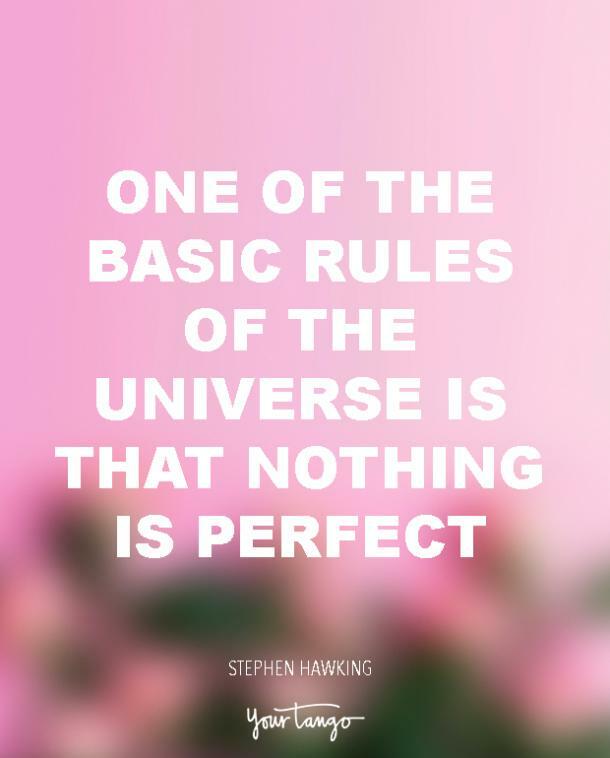 The pressure to be perfect can feel overwhelming. It can cause us make enormous efforts to ensure that nobody finds out what’s really going on behind the scenes of our public persona. 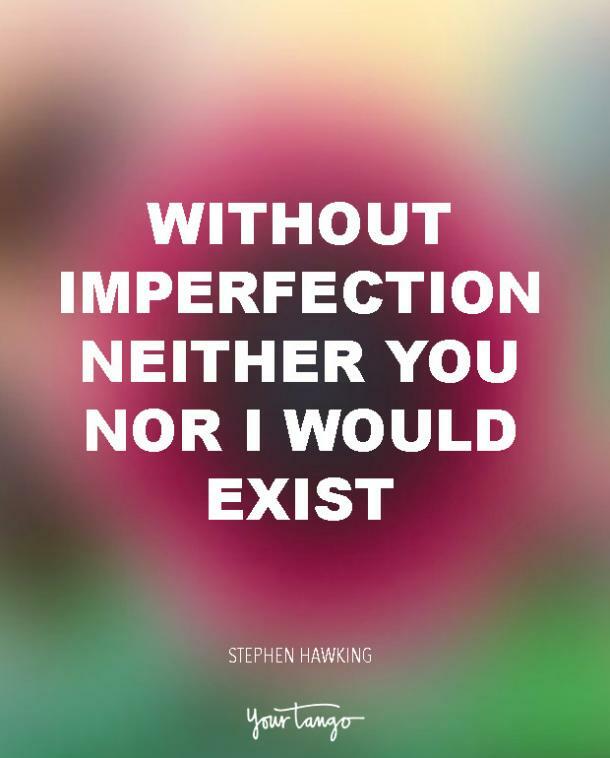 Many individuals spend a great deal of energy hiding what they perceive as imperfections from others. "Why do I keep messing up?" "I’ll never get ahead professionally. I just don’t have the education." "No one will love me if I continue to weigh what I weigh." Listen, no one is perfect, but there is such a thing as having your own perfect experience. It suits you. It brings you joy. Or it teaches you a lesson. Because perfection isn’t the end goal — progress is. You are meant to be a progressive, growing, expanding, evolving being. When you experience growth, you will feel more alive. Instead of focusing on perfection, choose to focus on growth and how you can be happy with your life. If you’ve found yourself engaging in negative self-talk or feeling you have imperfections you have to hide, you must change these perceptions. In order to truly love your life. you must be able to feel happy, confident, and empowered to unleash the unique talents and gifts that are waiting inside of you. 1. Pay close attention to the thoughts you're having, and shift your energy to the expansive ones. Choose to give more energy, attention, and focus to your positive and expansive thoughts, and to give less energy to the ones that are contractive or negative. For example, focus on the fact that you were born to live a life you love, and not to chase perfection. 2. Be present in your interactions with people. Listen to what is shared with you, rather than listening from a place of wanting them to finish what they’re saying so that you can jump in and share your own thoughts and experiences. Also, practice being a person of increase with them. Seek to contribute to the people you’re speaking with when you can and allow them to contribute back to you. 3. Embrace your perceived flaws and mistakes as opportunities for growth. What you may think of as your flaws are the things that actually make you who you are. They are beautiful because they make you unique! Over the next 30 days, anytime someone gives you a compliment, simply accept it! Many people have learned to deflect compliments. In doing so, the compliment gets pushed aside and barely acknowledged. Imagine being handed a birthday present, then putting the gift to the side without even saying thank you. Of course, you’d never do that! But deflecting a compliment is the equivalent of failing to acknowledge a physical gift-giver. Be a receiver who gives the gift of acceptance. There can be no givers if no one is willing to receive. Accept generosity where it is offered, including compliments. Allow the givers in your life to experience the joy of gifting to you. So, again, for the next 30 days, anytime someone compliments you, I invite you to acknowledge it. Simply say, "Thank you for noticing." This may feel a bit odd at first, but over time you’ll find you can accept the generosity of others more easily. However, I caution you to not base how you feel about yourself or your life on other people’s perceptions. There is a balance between caring what people think and living your life according to what people think. The messages we are exposed to in movies, magazines, TV commercials and so on are all about “what people think.” But, it’s fiction. You can choose to love yourself and to love your life. Someone else may feel that you or your life doesn’t measure up somehow. But, in reality, this means nothing. Be more committed to being happy than to being perfect and you’ll soon experience greater joy, happiness, and peace in your life. To learn more about Mary Morrissey, click here.